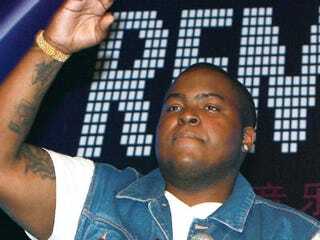 Sean Kingston is well on his way to recovery, MTV News reports. The singer was released on Tuesday from Jackson Memorial Hospital, three weeks after being admitted for injuries stemming from a Jet Ski accident in Miami Beach over the Memorial Day weekend. Kingston was initially hospitalized in critical condition after the Jet Ski he was driving crashed into a bridge. A passerby in a boat, who happened to be an off-duty Coast Guard employee, helped him and his companion out of the water and to safety. Kingston was admitted to the hospital's trauma unit on May 29 and moved to the ICU a few days later, when his condition was upgraded to stable. Although he is expected to make a full recovery, sources say he suffered a broken jaw, fractured wrist and water in his lungs. A few days ago, taking to Twitter for the first time since the accident, Kingston shared a photo of himself, in the hospital, along with the message, "Feeling alot better! GOD IS GREAT! Thanks for all the prayers and support! Love you ALL!" We expect more appreciative tweets — and safer watercraft practices — from him in the future. In other news: VIDEO: Midwest Rappers Revive Indigenous Language.